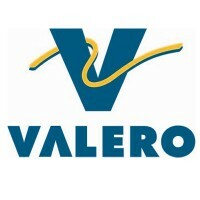 Valero Energy Corporation is one of the biggest independent refiners and marketers of petroleum and ethanol. Based in Texas, USA, it also has offices and branches in the UK, the Caribbean, and Canada. The corporation was founded on January 1, 1980. However, it was simply a spinoff of Coastal States Gas Corporation. Nevertheless the corporate spinoff was so successful that it soon took over LoVaca Gathering’s operations. Over the years, the company received awards for its performance and commitment to quality service. In 2016, the American Fuel & Petrochemical Manufacturers (AFPM) gave Valero Elite Silver Safety Awards. The company is likewise committed to providing the most comprehensive benefits package to its employees. These are a 401(k) retirement plan, a company pension plan, paid sick leave and holidays, life and disability insurance, and training reimbursement. Employees also praise the relationship between managers and the staff. Both parties maintain an open line of communication, and any problems are resolved quickly. Meanwhile, tasks are cascaded properly, and no staff member is left out. How old do you have to be to work at Valero? The minimum age requirement for applicants is 18 years old. However, eligibility for managerial positions requires previous experience and a college diploma. Chosen applicants may choose their schedule, but the hours they need to render vary according to the office and site location. Hardworking and committed people are welcome to work for the company. The list below shows the top available jobs at Valero, plus a short description of the tasks and qualifications for applicants. The person qualified for this position shall assist in the technical development, construction, design, and implementation of Business Intelligence for any of the company’s in-house or purchased software solutions. He shall test changes and enhancements in the software, and gather technical and functional requirements to facilitate the resolution of issues. The Business Process Analyst, on the other hand, conducts business analysis and implements enterprise business systems. To recommend the best solutions, he must gather business requirements and identify process improvement opportunities, as well as possible and existing loopholes, in the company’s marketing plans and logistics. The analyst must also be an excellent communicator, as he needs to collaborate with business customers. The Craftsperson is responsible for planning and coordinating work orders, permits, and safety guidelines. He also reads and analyzes loop drawings, wiring schematics, and P&IDs. At most times, he works on field problems and resolves them through the trend data he has gathered. He must be physically fit as he will operate heavy equipment. The Cybersecurity Compliance Auditor reviews and tests IT system controls and ensures the integrity of corporate data. He also evaluates automated IT systems and checks their compliance to procedures and rules set by regulatory agencies. The auditor must have a bachelor’s degree in Computer Science, Information Systems, Finance, Accounting, or any related course. Certifications from institutions and regulation committees are also preferred. The tasks ascribed to this job are: providing network support (i.e. firewalls, routers, switches); maintaining the Process Control Network; configuring servers and domains; and maintaining databases. Without the Control Systems Specialist, the integrity and security of corporate information is compromised and may be susceptible to hacking. Raw materials must be loaded and delivered to site locations. More important, these materials must be handled carefully. Such are the tasks of the Shipping and Receiving Operator. Moreover, he shall unload corn from railcars and trucks, and take samples of raw materials for testing. Whenever needed, he shall conduct routine housekeeping duties and preventive maintenance. The Planner develops job plans for daily maintenance activities, helps in planning for emergency shutdowns, and reviews work requests. He also establishes tools, labor, equipment, and materials for such work requests. To help the Maintenance Supervisor in developing plans, he prepares drawings, bid packages, and procedures that are aligned with refinery standards and regulations. The main responsibilities of a Refinery Maintenance Welder are: selecting and installing piping systems, gaskets, fittings, valves, and tubes; reading and interpreting blueprints, schematics, and illustrations; helping inspect scaffolding, ensuring that they comply with OSHA standards; and rigging machinery, piping, and equipment as required. The Instrumentation Technician regularly maintains electronic instrumentation, and repairs defective equipment. Due to the gravity of his work, he must be an expert in level instrumentation, pressure, flow, controllers, temperature, and other related technicalities. He also conducts routine calibrations whenever necessary. Five years of experience in the field is required. As Grains Trader, the job seeker shall develop and implement grain trading strategies and help in risk management programs. He shall research the market for data and communicate gathered insights to the team. The financial and margin impact of grain procurement, and how this plays in future markets, is included in the Grain Trader’s report. Applicants may send their forms online. However, they must first accept Valero’s privacy agreement, which is available on the company website. The applicant will be asked to log in the site, or register an account. Once the applicant has successfully signed up/in, he shall be asked to complete an online application form (no PDF file). It’s important that the applicant fills in the information as accurately as possible. The applicant may also opt to submit his application to any shop, site location, or office of Valero. He must bring his resume and cover letter, and prepare for an interview. Resumes that highlight the skills and certifications needed in the aforementioned jobs will definitely catch the attention of the hiring team. As with any office document, resumes must be neatly typed. They should also be devoid of fancy fonts and formatting. Soon after receiving application forms and resumes, the hiring team more likely contacts the applicant for a job interview schedule. Applicants may be asked about what they can do for the company, or what they know specifically about the job they are applying for. Valero believes in community involvement. Even when things are busy, the staff and management still manage to learn and have fun. Everyone helps everyone else, and competition is healthy, if ever there is one. The company is also keen on expanding its reach. Valero in UK is set to purchase SemLogistics Milford Haven, one of the biggest petroleum product storage facilities in Wales. To date, the company continues to pursue responsible corporate citizenship in all its operations. Valero likewise provides a safe environment for its employees and the residents near its site locations. In fact, Valero’s refineries have been approved as Star Sites, which means they adhere to the highest plant safety recognition awarded by OSHA and other state agencies. 1 How old do you have to be to work at Valero?